Discussion in 'Transformers Toy Discussion' started by AutobotAvalanche, May 14, 2017. Steelfire or eltonlin98, who has the better jokes? Pretty simple game I thought I'd post because I was bored. 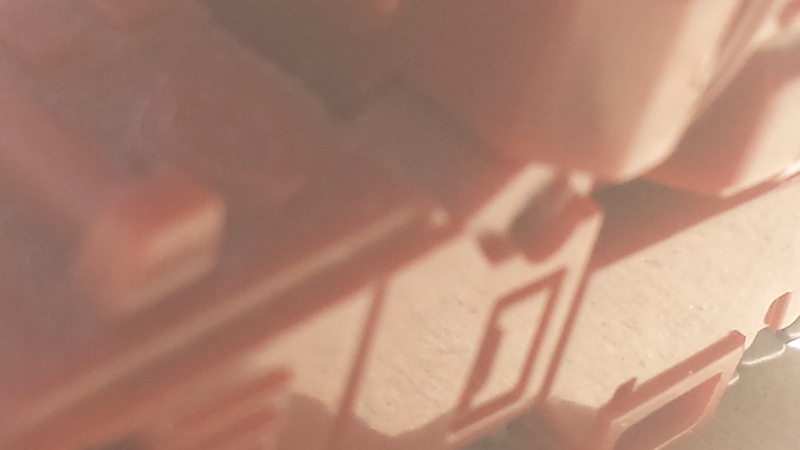 Take a picture of a Transformers figure, but zoom in so it's not completely obvious who it is. Then everyone guesses what figure it is and whoever gets it right first posts the next one. Official HasTak products only. There are too many 3P companies and they aren't as well-known or well-documented as the official stuff you'll find on TFWiki. This applies to licensed 3P products too like The Loyal Subjects. Let's keep it to regular, official Transformers figures. Don't use photos edited in a way to obscure the answer. No distortions, color-edits, etc. Stock photos or actual images of the toy taken by you are fine. Just keep it fair and unaltered. Each person gets 2 guesses after the initial photo goes up. After 10 failed guesses or 6 hours, the challenger must provide a hint and each person gets another guess. If more hints are required they should get progressively closer to telling us what the figure is. Please please PLEASE wait for confirmation before posting your own challenge. UNLESS you can provide clear photographic proof that you're correct. Don't just tell us that you know you're right and post a new challenge. You very well could be wrong. I'll take a guess. TR sentinel Prime in a really weird light? No, but it is an Autobot. KuroKage2001 That guy that did that thing. I can barely make out what that is because the light is so obscured. We had thread like this before, but people stopped using it because people kept taking obscured photos or photos of a screw then blaiming everyone else for not being able to figure it put. This is great idea, but have to really careful about it's guidelines and execution. Yeah, I'll admit the lighting in that pic is bad. I'll do better next time. Anyways, no one has guessed it yet. Give us a better picture. I'm on the road at the moment, so I'll just give you the point. It was Generations Warpath's foot. Looking at the Amazon image, I'd say it's specifically the front of the shin. Nevermore started that other one, then I started compiling results. It was official only, and asked for close up shots of figures you actually owned that got progressively wider as time went on to allow for more guesses. It was pretty much exactly like this thread. It kind of died out because some people couldn't post clear pics and got pissy when asked for better shots, guessed and posted a new challenge before getting confirmation, and posting a challenge then never responding. I don't think any of us took pics of screws, though. Crotches, yes, but not screws. Ah, I loved that thread dearly.